Since spring is when all the birds return from flying south and start building their nests and raising babies, I thought this would be a good time of year to bring out the "Bird" kit for the Storytime-To-Go program. We visited 9 daycares for a total of 28 groups. I used a number of different books during the course of the two weeks, but generally 2-3 per group. We started each with an introduction to the theme, our letter of the day "Bb", and our story song to help us settle down. Peck, Peck, Peck by Lucy Cousins is the story of a young woodpecker learning how to peck holes, which he masters all too well. He then pecks a hole in a door and goes inside a house, pecking holes in everything, including underwear and the toilet! There are die-cut holes in the pages and in the cover, bright illustrations with heavy outlines, and the audience can help make the pecking sounds. In Seven Hungry Babies by Candace Fleming and Eugene Yelchin the poor mama bird is run ragged trying to get all her babies fed. This works on counting and subtraction, and the audience can guess what kinds of food she is going to bring back, and say the "Feed us, feed us!" line each time, pinching their fingers like beaks.﻿ Bright, slightly nostalgic-looking illustrations. In Ole Konnecke's You Can Do It, Bert! a little bird is about to try something for the very first time, and is a little hesitant at first. But, it turns out to be something different than the audience might expect! This provides an opportunity to talk about trying new things, and being a little scared at first. Very simple illustrations, and the audience can cheer Bert on. All the birds have laid eggs except Duck in Emily Gravett's The Odd Egg. But then Duck finds an unusual egg and adopts it. When Duck's egg finally hatches, everyone is in for a big surprise! The kids can say the "Creak, Crack" line as each egg hatches, and guess what will be in Duck's egg. A very cute story, but the very pastel illustrations are hard to see in a group setting. 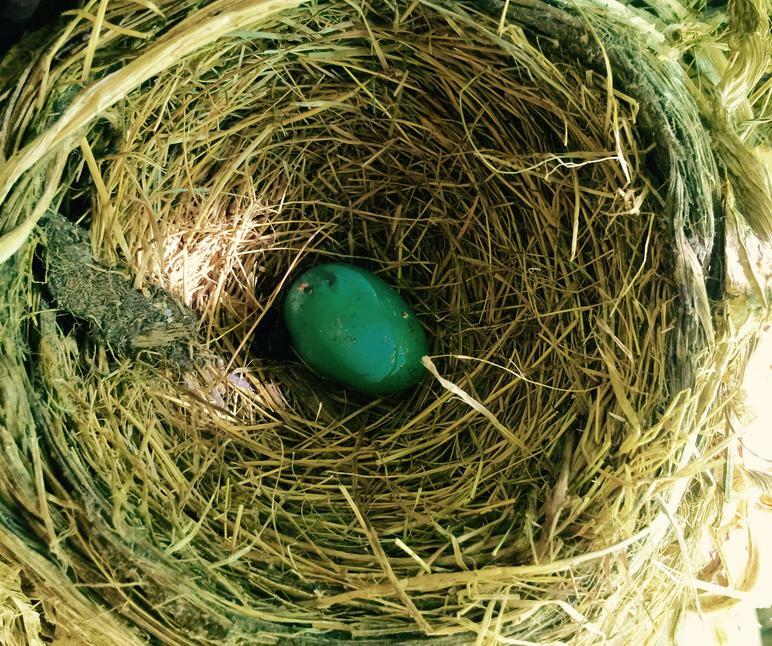 In Kali Stileman's Roly-Poly Egg, Splotch has laid a beautiful egg. But, in her excitement, she accidentally causes it to fall out of the tree. Follow the egg's path as it rolls into danger, but eventually makes it back home safely. Then lift the flaps as it hatches to reveal the chick. Bright illustrations, mild suspense, and an "Awwww" at the end. Owl Babies by Martin Waddell and Patrick Benson is the sweet story of three little owls waiting for their mama to come home, getting more worried the longer they wait. Kids will love joining in with little Bill crying "I want my mommy!" This is a cute story that seems to work will with both the younger preschoolers as well as the older ones. And of course I couldn't do a bird theme without Mo Willem's Pigeon! I brought both Don't Let The Pigeon Drive The Bus (since we were on a bus, after all) and The Pigeon Needs A Bath, since it was the most recent book and hopefully all the kids wouldn't have seen it before. These can be very interactive, with the audience repeatedly telling Pigeon "No!" that he can't drive the bus, or "Yes" he does need a bath! Of course there will always be at least one mischievous kid who says "Yes," the Pigeon can drive the bus. Night Owl by Toni Yuly is a good choice for younger kids, as it is relatively short without a lot of text on each page. The little Night Owl is looking and listening for his mother, but hears lots of other sounds in the night. The kids will enjoying trying to turn their heads all the way around like an owl, and guessing what each sound is. Also an opportunity to introduce the word "nocturnal". Whose Chick Are You? by Nancy Tafuri is another short, simple book with sweet illustrations for the younger kids. There is an egg in a nest, and all the other birds want to know who it belongs to. An opportunity for the audience to name all the birds, and make their sounds, and try to guess who the egg and subsequent chick belong to. Even the chick doesn't know! One of the props I had that the kids really seemed fascinated with was a robins' nest with an abandoned, unhatched egg that our driver found at his house. There had originally been 4 eggs, but only three hatched. He saved the nest and egg and built a plexiglass box to contain in so it would last for a long time. As I showed it to the kids, we talked about how long it took to build the nest and what materials the birds had used. I also showed them a picture of a robin so they would know what the birds that built the nest looked like. I also had a set of stuffed birds with music buttons inside them that played the bird's call when pressed. From left to right: cardinal, blue jay, chickadee, red-headed woodpecker, purple martin, Baltimore oriole, and the Hawaiian i'iwi. All are native to North America except for the i'iwi. 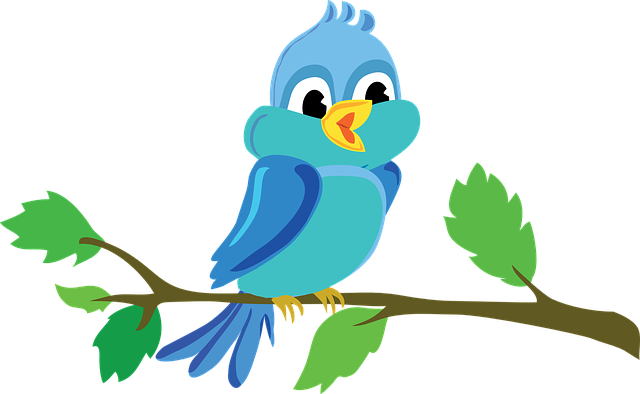 I pointed out how they all looked differently and made different sounds, including tweets, chirps, clicks, whistles, and squawks and only some of them were songbirds. "This Is The Way We..."
This is the way we scratch for food, scratch for food, scratch for food. This is the way we scratch for food, so early in the morning. This is the way we peck for food, peck for food, peck for food. This is the way we peck for food, so early in the morning. This is the way we flap our wings, flap our wings, flap our wings. This is the way we flap our wings, so early in the morning. This is the way we fly away, fly away, fly away. This is the way we fly away, so early in the morning. This is the way we sit on our nest, sit on our nest, sit on our nest. This is the way we sit on our nest, so early in the morning. I like how this ends with them sitting back down, ready for the next story. Then they start to hatch! The kids seemed to like most of the books I used, but Peck, Peck, Peck always got big laughs and lots of "Ewwww!" and "Nasty!" when the woodpecker pecked the underwear and toilet. Both Pigeon books were big hits, especially with kids who were familiar with him. All the adults who had raised babies identified with poor mama bird in Seven Hungry Babies! The kids were really fascinated with the bird's nest and egg, and one little boy even asked his teacher to take a picture of it and send it to his mother. They really liked the stuffed birds with all their different calls, but I think I will stick to using just five of them from now on as I seemed to lose their interest by the last one sometimes. I really thought they would get into dancing to "Rockin' Robin", but it got a very mixed reception. Generally, the girls would dance and the boys would just stand there (with a few exceptions). I was really surprised; I thought almost all little kids loved to dance. I did have one kid catch me off guard with a question I couldn't answer, which was if animals that are active at night are called "nocturnal", what are animals who are active during the day called? I could not remember for sure, and I thought about quickly Googling it on my phone, but since we don't allow the daycare staff to use their phones on the bus, I decided against it. It is "diurnal", by the way, which is what I was thinking, but wasn't sure enough to say. Incidentally, "crepuscular" animals are active at dawn and dusk.